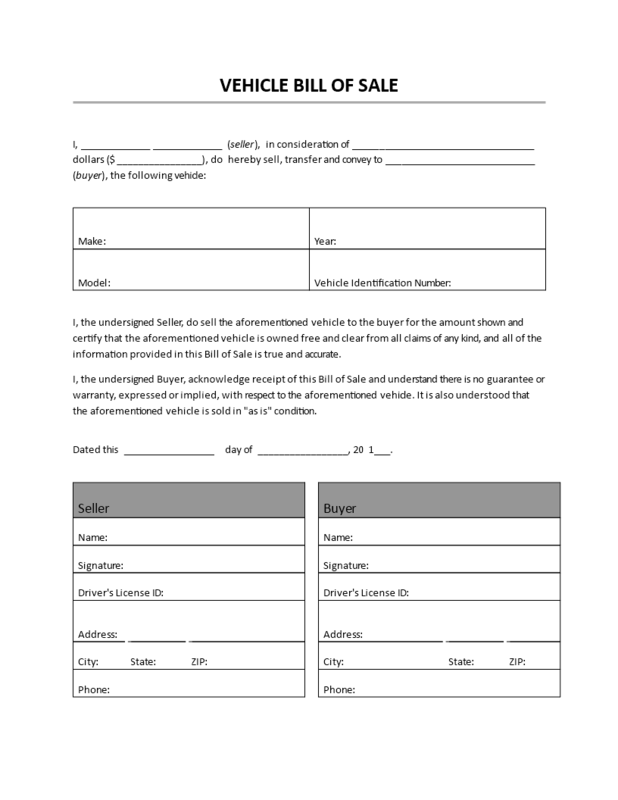 This is a standard vehicle bill of sale template in Word, that you can easily use as a document to legalize a vehicle transaction between a seller and a buyer. For the buyer, the bill of sale documents the purchase price of the vehicle for sales tax purposes. For the seller, a bill of sale provides proof that title to the vehicle has been transferred legally. Above information is needed to prevent any disputes that may arise in the future after change of owner. In the some of the states in the US a notary is need when you do to formalize the transaction. You should verify and be aware about the US states policies when you plan to sell your car.